The menu is arranged in order of complexity, starting with easy to much complex problems. 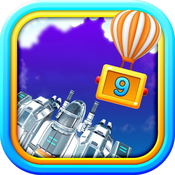 This classification makes the game suitable for children at different grades and at different levels of understanding. By clicking on each subtopic, players can test themselves with up to 15 multiple choice questions. In total there are 75 problems under the five different topics. This game contains a jet flying across the sky. Also there are air balloons that emerge in front of the jet occasionally. A player has to aim and shoot at the right balloons progressively. Each time a question pops up, four answer options fly in with the balloons. 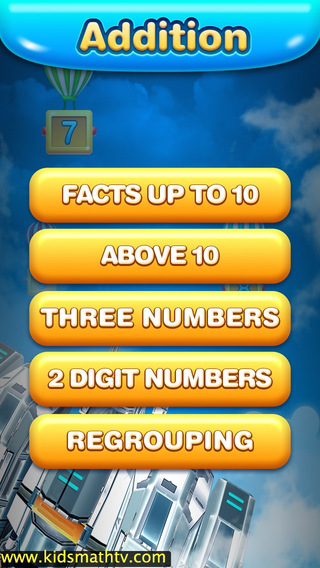 Players have to solve each problem and touch the correct balloon. This enables the rocket to strike the correct target. 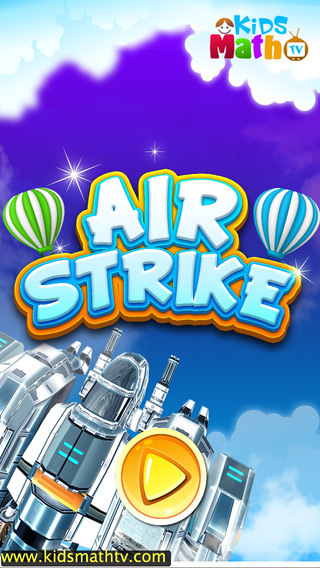 If the player strikes the wrong target, the jet will be stroke by an opposing balloon. There is an aspect of timing to it; players must solve all problems within a given time else they lose points. At the end of the game, points are accumulated and there is feedback on all problems solved. Review your addition facts with fun. What are basic mathematical skills?